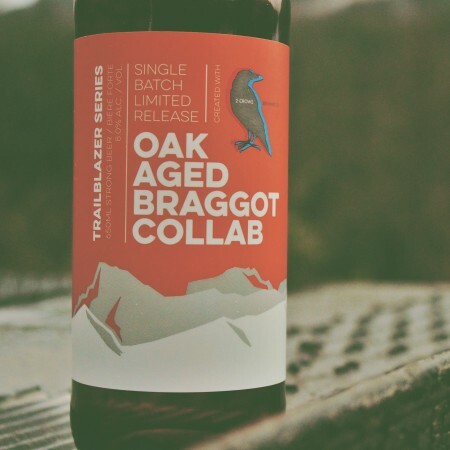 CHILLIWACK, BC – Old Yale Brewing has announced the release of a collaboration with 2 Crows Brewing of Halifax as the latest in its Trailblazer Series of single batch limited edition beers. A beer and mead blend, Old Yale’s collaboration Braggot was hand-crafted with their friends from 2 Crows Brewing. The Braggot uses local wildflower honey and is fermented with wine yeast, creating a smooth, mellow body with vanilla notes that are accentuated by aging on American Oak. The new brew is dry-hopped with Hallertau Blanc, further pursuing the fruit white grape characteristics in the finish. Oak Aged Braggot Collab will be available in 650 ml bottles at the Old Yale retail store and private liquor retailers in British Columbia, and on tap at select bars and restaurants in the province, while supplies last.